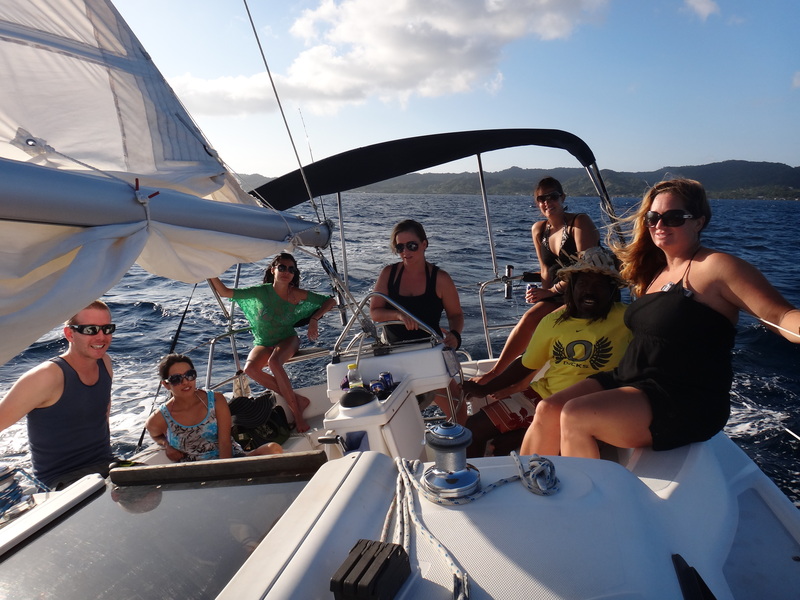 Sailing in Roatan | We LOVE Roatan Blog!! For years Roatan´s sail boat population has been steadily increasing. Long before the internet or even the ferry system that shuttled people back and forth between the bay islands, adventurous sailors from around the world have been visiting the Bay Islands. Without the internet, GPS or proper depth gauges sailors of the old came to the islands with paper maps, compasses, sextants and a man on the bow to spot the depths. As word spread through the ranks of global sailors, Roatan quickly became knows as the most untouched diving and snorkel destination in the Caribbean. Fast forward to today, Roatan now has the infrastructure to accommodate all of a sailors needs, both off shore and in marinas. Amenities include fueling, supplies, repair and marine gear. Roatan hosts roughly 200 sailboats and over 50 Mega Yachts a year. For those looking to experience the joy and age old tradition of sailing, sail boats are available for charter. For smaller groups a 30 ft monohull sailboat would be perfect to learn sailing, snorkel the beautiful waters and have a couple of drinks at sunset. Larger groups can look to charter some of the catamarans on the island which can accommodate over 40 people. These boats are steeped in luxury and offer guests bathrooms, fresh water showers, cabins, kitchen, kayaks and full snorkel gear. Whether a novice or a pro, sailing the crystal clear waters of Roatan will be an experience you will not soon forget.